SportsLine's advanced computer model simulated Wednesday's Bucks vs. Pacers matchup 10,000 times. If you're a fan of fundamental defensive basketball, tonight's Bucks vs. Pacers matchup is for you. 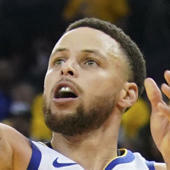 This game not only features two of the NBA's top-five teams in terms of record, but also the two top-ranked teams in terms of defensive efficiency. All-Star captain Giannis Antetokounmpo leads the Milwaukee Bucks into battle against Myles Turner and the NBA's hottest team, the Indiana Pacers. Indiana heads into this game with an NBA-best six-game winning streak and will look to secure its second home win over the Bucks of the season. Tipoff is set for 7 p.m. ET from the Bankers Life Fieldhouse. Sportsbooks list the Bucks as 4.5-point road favorites, while the over-under, or total number of points Vegas thinks will be scored, is 219 in the latest Bucks vs. Pacers odds. Before you make any Bucks vs. Pacers picks, see what SportsLine's advanced computer model has to say. Now it has locked in on Pacers vs. Bucks. We can tell you it's leaning under, and it has also generated a confident against-the-spread pick that hits in well over 50 percent of simulations. You can only see that selection at SportsLine. The model has taken into account how stifling Indiana's defense has been lately, but also is aware that the Pacers haven't faced an offense like Milwaukee during that time. The last imposing offense the Pacers had to face was Golden State on January 27, a game in which they gave up 132 points in a blowout loss. The most impressive win they have had during their six-game win streak was over the Clippers (31-27), who were playing their first game after the Tobias Harris trade. That is a far cry from trying to defend the NBA's second-highest scoring offense, led by a red-hot Antetokounmpo. The Greek Freak is averaging 34 points on an absurd 66 percent shooting from the field over his past five games and is coming off of a monster 29 point, 17 rebound performance. The outcome of this game will likely come down to how effective Giannis can be against Indiana's vaunted defense. But just because Giannis and company have been the NBA's best on-paper team this season doesn't mean the Bucks will cover the spread on the road against the red-hot Pacers. The model is also well aware that while Milwaukee boasts the NBA's best regular-season defense, nobody has locked down like Indiana lately. Over their six-game winning streak, the Pacers have posted an absurd defensive efficiency of 98.4, while allowing only 93.5 points. The Pacers have given up over 100 points in just one of their past six games and have surrendered over 110 in just one of their past 13. The catalyst to Indiana's impressive defensive showing has been the NBA's leading shot blocker, Turner. His 2.8 blocks per game this season would be the highest the NBA has seen in three seasons, and he has actually upped that average over Indiana's recent winning streak. During that time, Turner has been everywhere on defense, averaging 3.5 blocks and 1.8 steals.